It is so dry, arid and otherworldly out here and yet there is something enchanting about how this place seems to rise out of the bowels of the craggy Rift Valley. 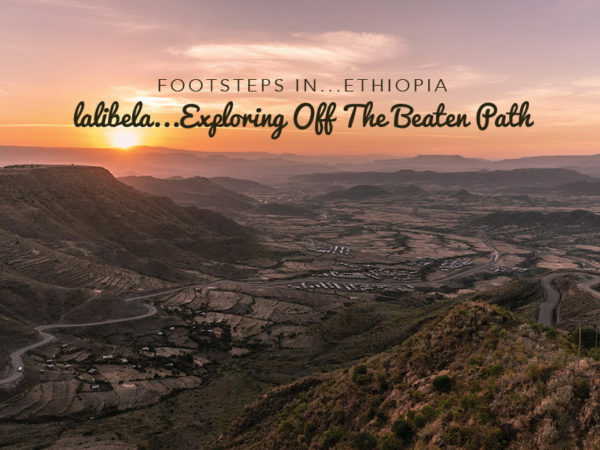 The ride to main town Lalibela is along a road that is carved into hills alongside a valley and an hour after landing, we arrive in Lalibela village, have met Abrham, our guide for the next few days and have checked in to Hotel Maribela, home for the next few nights. 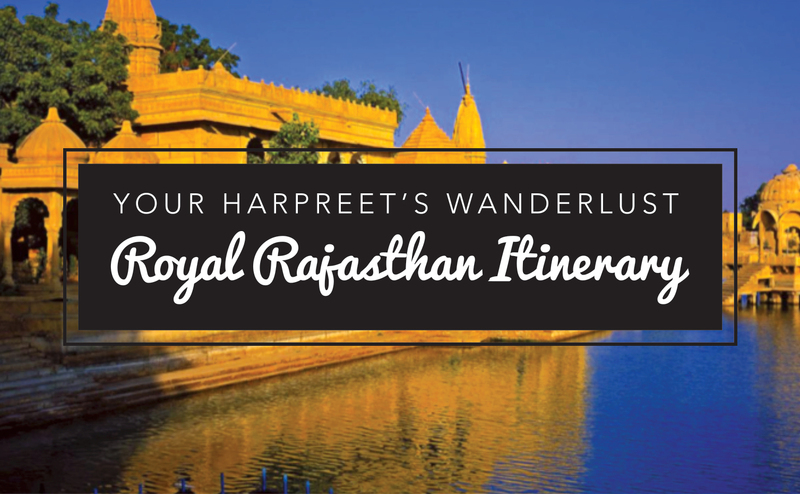 With no time to lose, exploring is on the agenda. 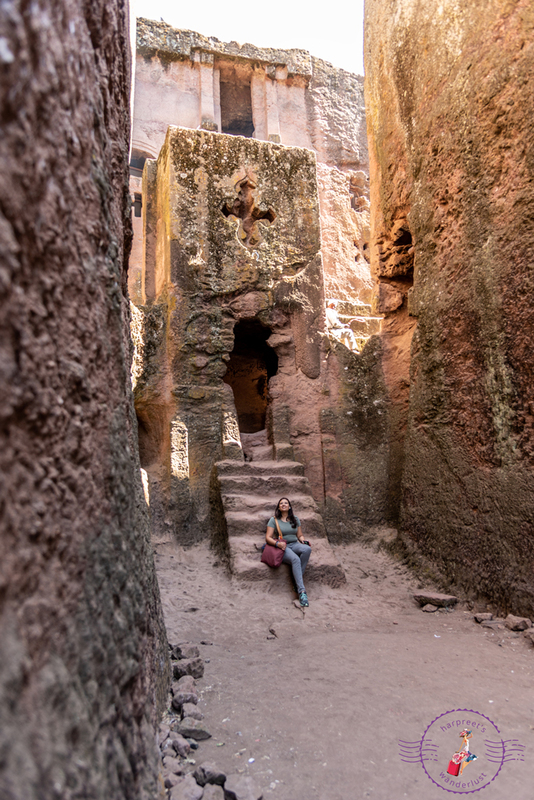 The raison d’etre: are the world famous subterranean rock hewn churches of Lalibela, part of the historic route of Ethiopia. A total of twelve churches await moseying around and we are starting off with the north western cluster first, where the entrance to this UNESCO World Heritage Site also happens to be. 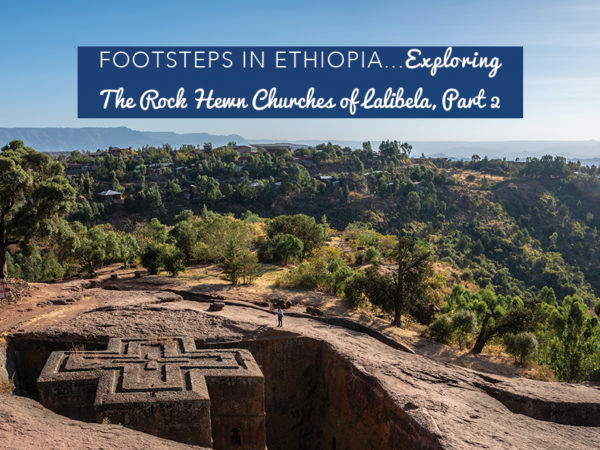 It is hard to believe that amidst a cluster of houses that form Lalibela village lie some of the most revered buildings of the Orthodox Ethiopian faith. The town doesn’t offer much else in terms of activity and the only reason it features so prominently is for these churches that are carved out of the soft pink volcanic rock and which are still active sites. 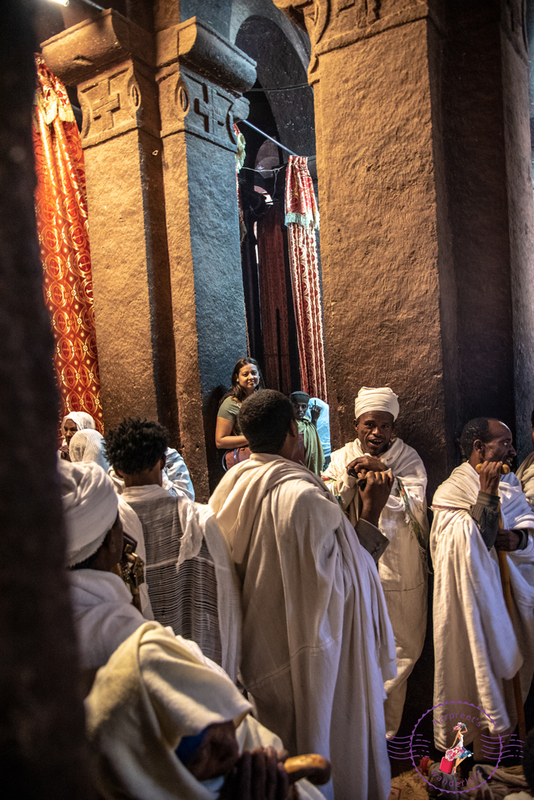 Every day, devout worshippers make the journey to come and pay their respects at the various churches and every year, hoardes of pilgrims descend upon them for Timkat, the festival of Baptism, making Lalibela the equivalent of Jerusalem…and I cannot wait to get discovering! 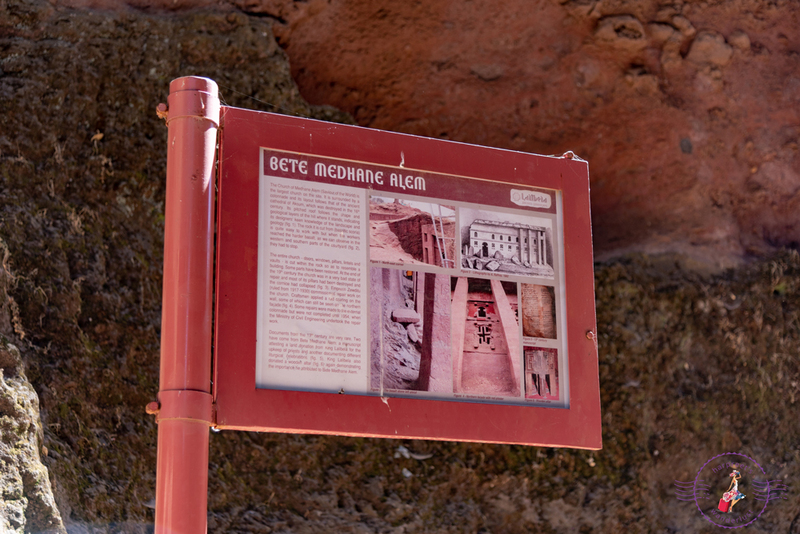 The churches of Lalibela are 900 years old. Carved right from the earth and immaculately preserved, they were discovered by a Portuguese priest in 1520 and today, are protected by UNESCO as a World Heritage Site. 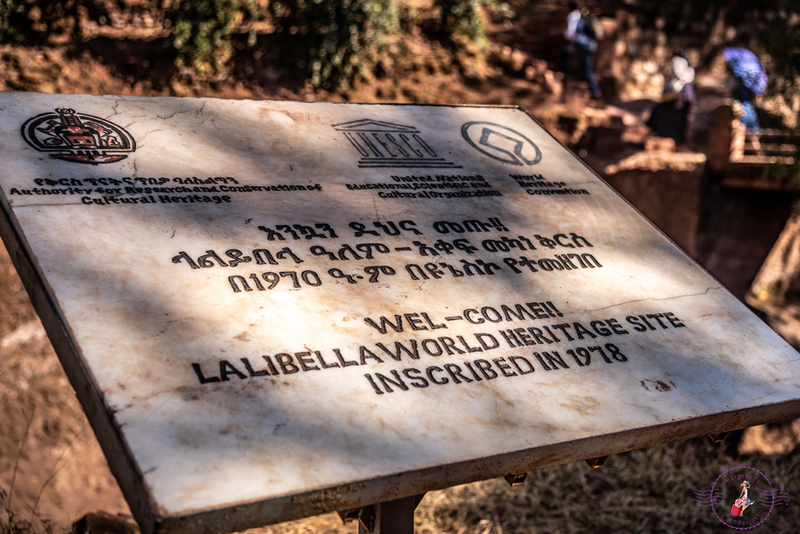 Legend has it that the churches are named after King Lalibela, who ordered their construction however given the different architectural styles, experts argue that this was next to impossible. Whatever the story, I am grateful that such monuments exist! 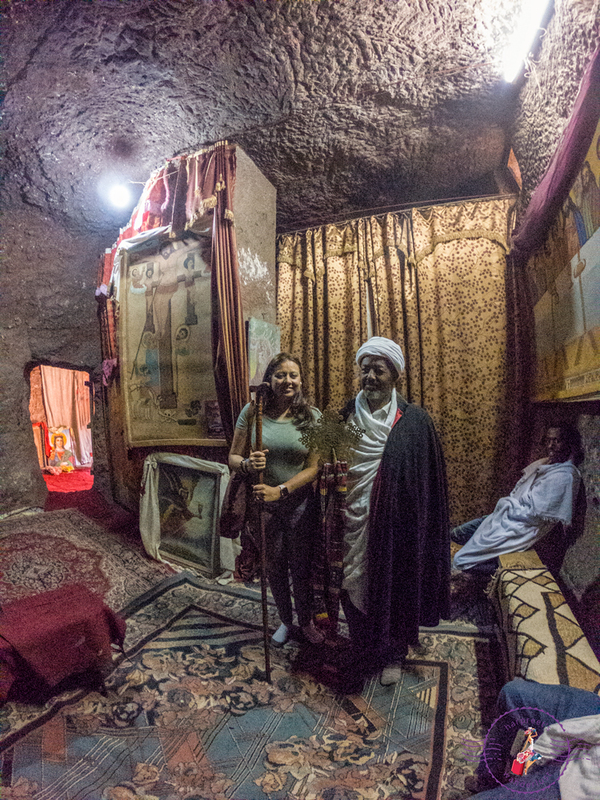 There are a total of twelve churches set out in three different clusters amidst a traditional village on either side of a small stream known as River Jordan. Some are carved into the rock, others are semi-monolithic (joined to the rock) and a few are monolithic (free standing). 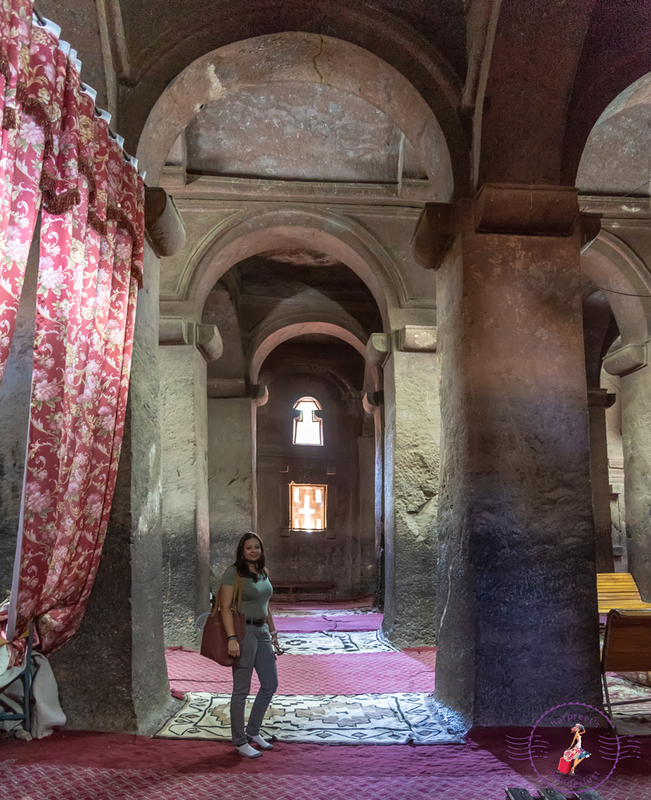 Interconnected with mazes of trenches, tunnels and passageways, it is thrilling to jaunt from church to church and being very active religious sites, it is both amazing and humbling to both watch and interact and be immersed into the Orthodox Ethiopian faith. Right after the entrance and a short uphill climb later, we are looking down upon our first church: a building that has been carved out of a single rock and covered with a rather unsightly but necessary tarp from UNESCO to protect the exterior from the elements. 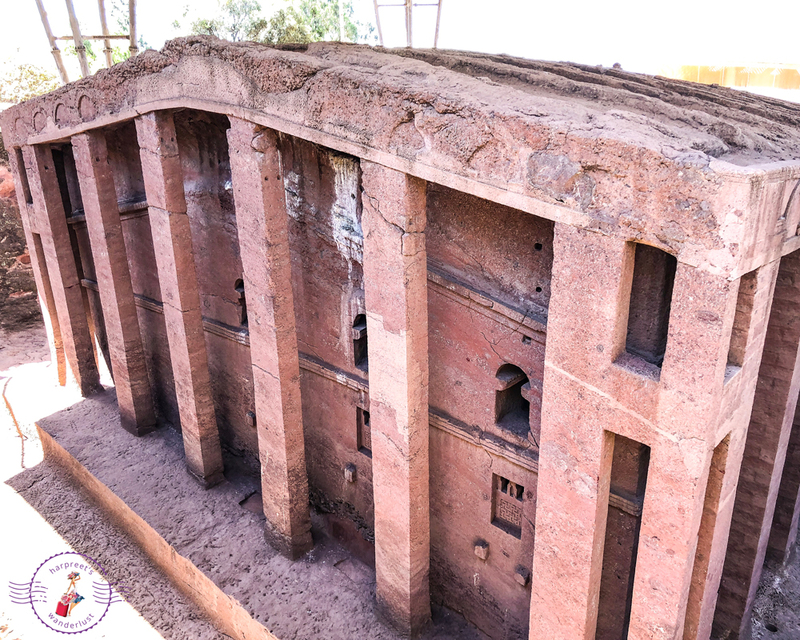 Bete Medhane Alem, is the first and largest church in Lalibela built with colonnades and carved from the stone. 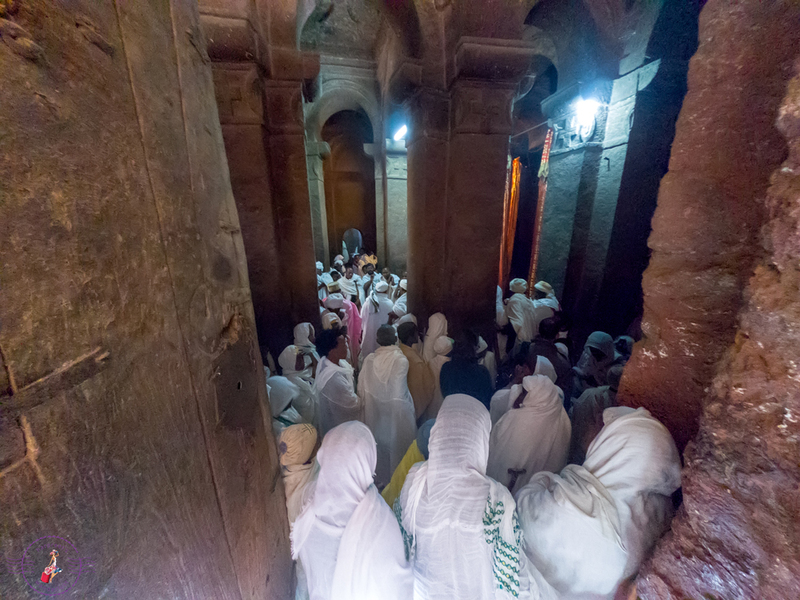 Looking from above, I am almost scared to lose my balance and fall into the pit as I observe pilgrims clad in white cloaks sat amidst nooks and crannies, praying. Most have their backs turned away from the world, deep in prayer and oblivious to any activity around them. We head down the roughly hewn steps to venture inside: the church is dimly lit with artificial white light whilst a glimmer of natural light pours in from a cross shaped window. Carpets adorn the floor and I can feel the cold of the stone seep through to my sock clad feet. 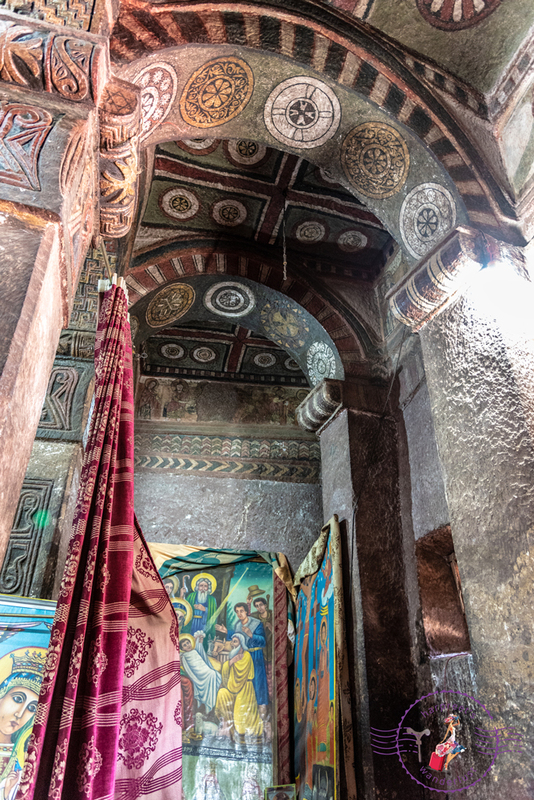 The altar is covered but a variety of colourful paintings depicting various religious scenes are dotted around. Worshippers come in and kowtow to the paintings, then commence their prayers. I am fascinated and humbled at the same time at how devout the faithful are. I am no atheist however if I were, I would soon be converted into a faith just by watching the reverence with which religion is practiced! As we make our way through a tunnel from the first church towards the next, I am a little surprised at how roughly hewn everything is: I had half expected the churches to be almost manicured but it is wonderful to see that their natural environment has been so well preserved. 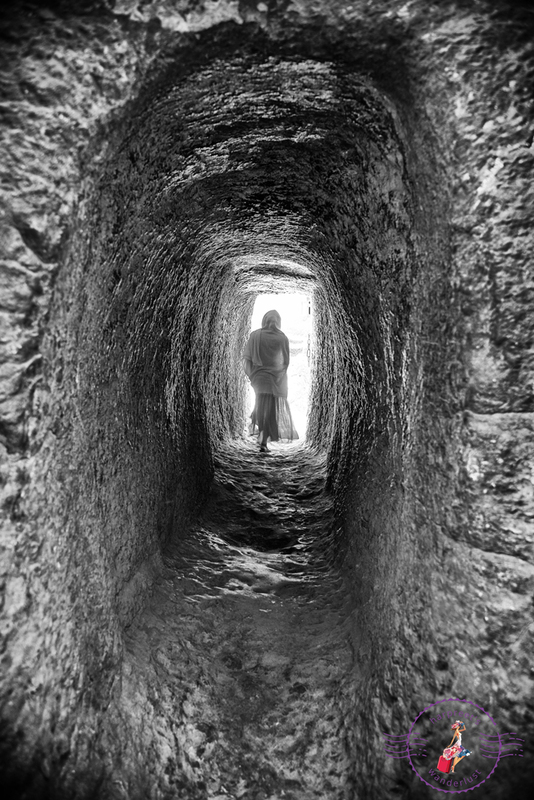 An open tunnel alongside a narrow precipice leads towards a courtyard which houses the next three churches in this cluster and we walk gingerly across, being cautious not to nudge into the meditating worshippers who are pressed against the walls in prayer. 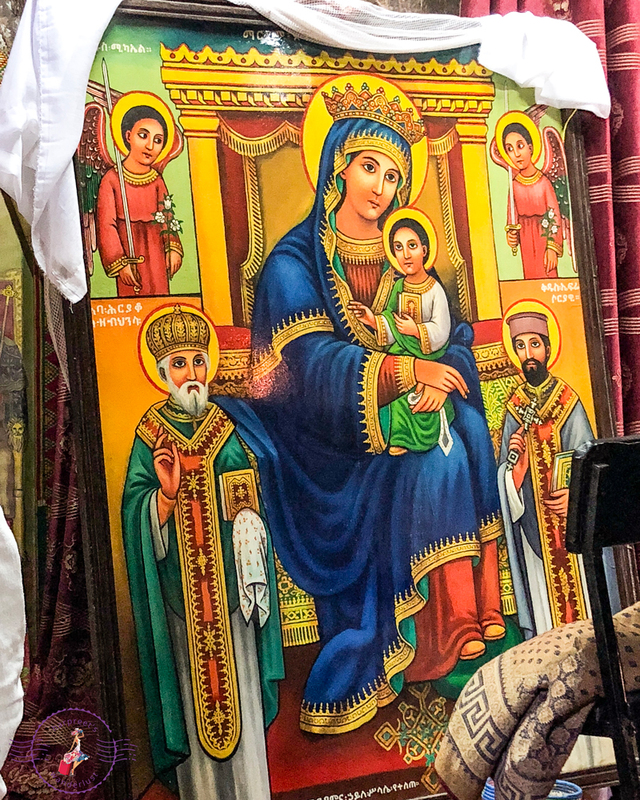 Bet Maryam, being dedicated to the Virgin Mary whom the Ethiopians hold revered is the most popular church and its small interior is heavily decorated and teeming with pilgrims: all in various forms of worship. Some hold bibles whilst others simply gaze up to the heavens above and mutter prayers under their breath. Vivid paintings of the Virgin Mary adorn the altar and are probably some of the largest that I recall seeing in any of the churches. 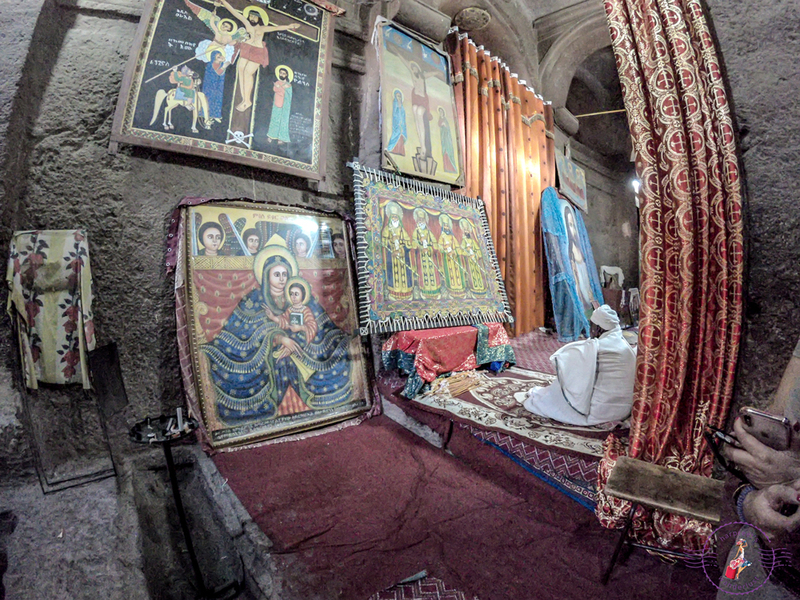 We stay a while and observe, enchanted by the rituals ongoing in the tiny church before exploring the other two smaller churches: Bet Meskel, a tiny chapel carved into a northern wall and Bet Dannagel, also known as the House of the Virgins and said to be constructed in the memory of martyred nuns. 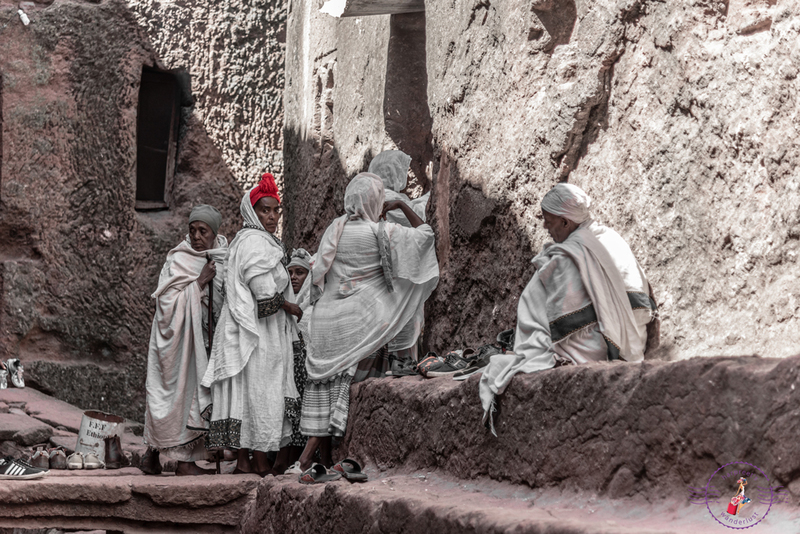 A deep trench in between high walls leaving the courtyard of Bet Maryam leads to one of my personal favourites in this cluster: Bet Debre Sina Mikael. 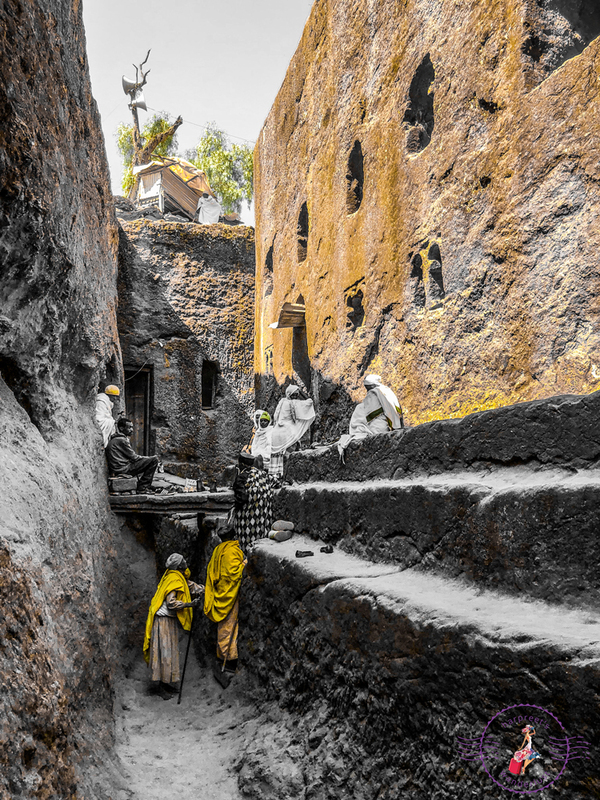 It is no easy feat clambering up the steep walls into the church and I watch in awe as pilgrims help one another navigate the pathway into the church itself. Most of the worshippers are elderly folk and their determination to scale some of these walls to get into the churches is impressive: because even I am double guessing my step in some places! There is a chanting ceremony going on inside and we can hear the echoes bouncing off the walls from the outside as we approach the church. I peek in and the tiny church is filled to the brim with worshippers: everyone is standing, leaning on their staffs for support. 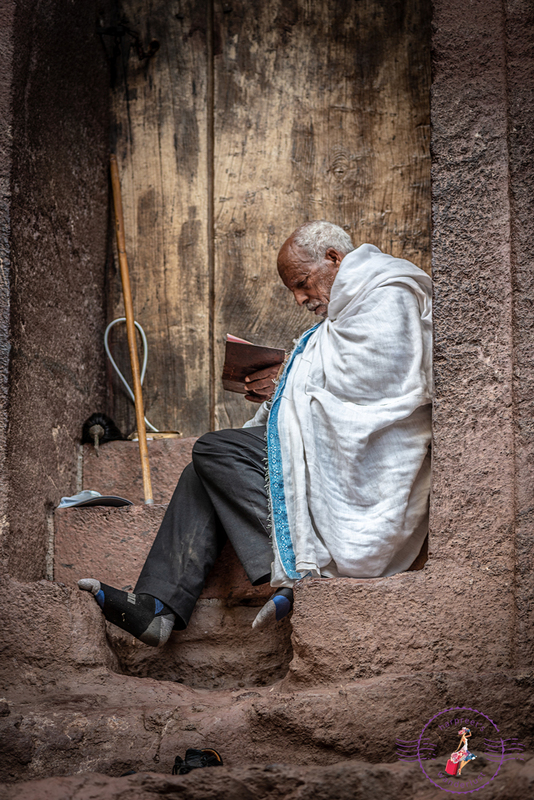 Abrham tells us that these ceremonies can go on for hours and only the very elderly get to sit down wherever they can find some space, but most pilgrims choose to lean on their sticks and shift their weight from leg to leg. We go in and the energy that is emanating from the congregation and within the church is electric. 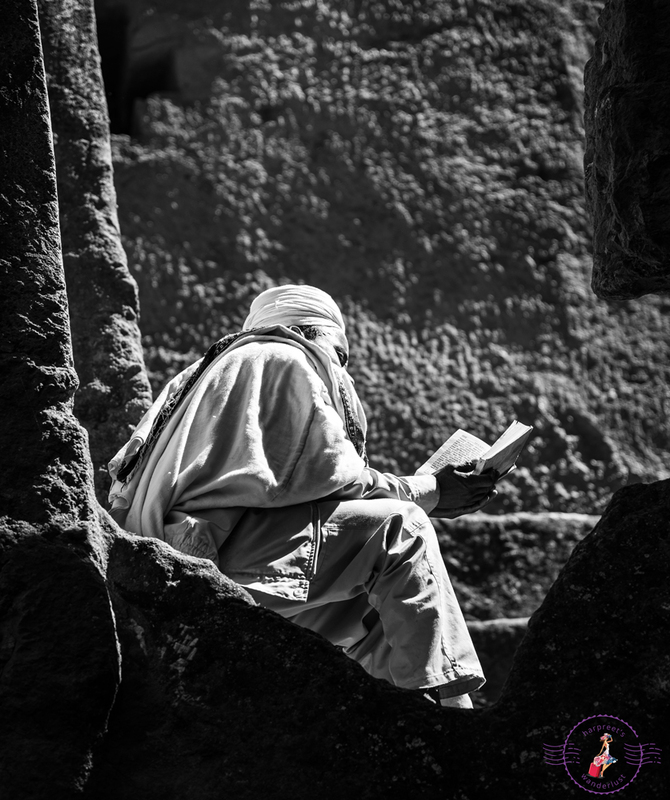 A priest chants in Ge’ez, the ancient liturgical language of the Ethiopian Church. Drums beat alongside the chanting, both echoes melding in a perfect symphony of uplifting reverberations that leave me both awed and fascinated. 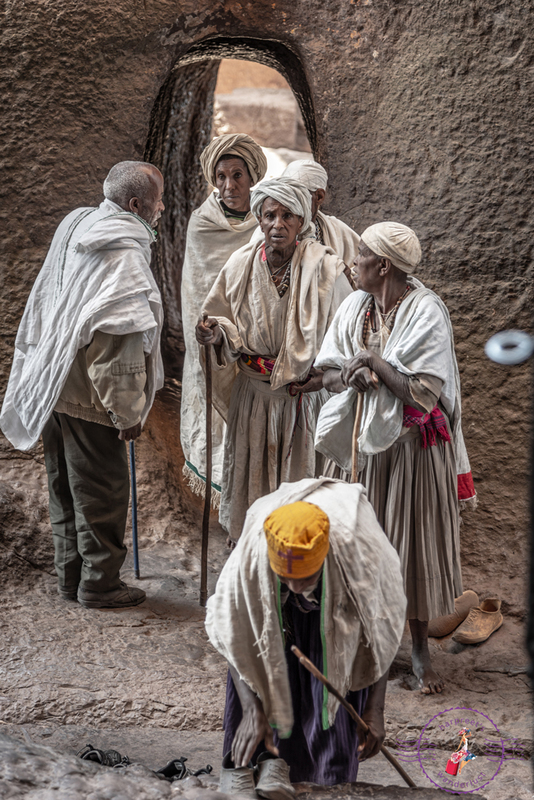 The devout worshippers are incredibly friendly and make room for me to come and stand beside them, which I am happy to do because Wanderlustmate M and Abrham have to leave me to head into the twin church of Bet Golgotha, one of the most sacred churches in this cluster where King Lalibela is rumoured to be buried. Sadly, women aren’t allowed in there. 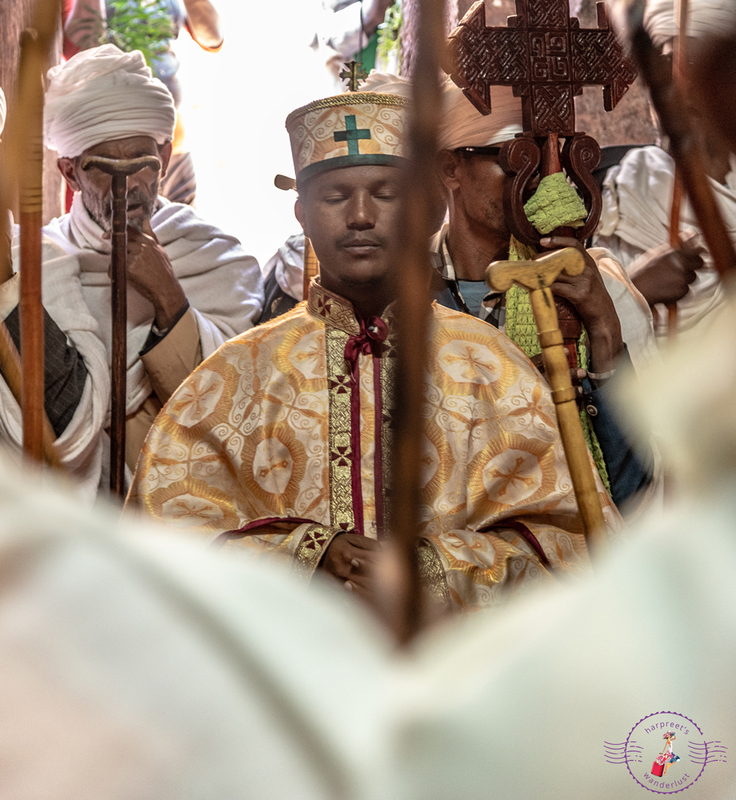 We must have stayed in Bet Debre Sina Mikael for about half an hour, just listening to the chanting and soaking in all the energy but I remember those moments as though it were yesterday. You really do leave your heart in some places, and I know a part of mine has remained in that church, frozen in time. 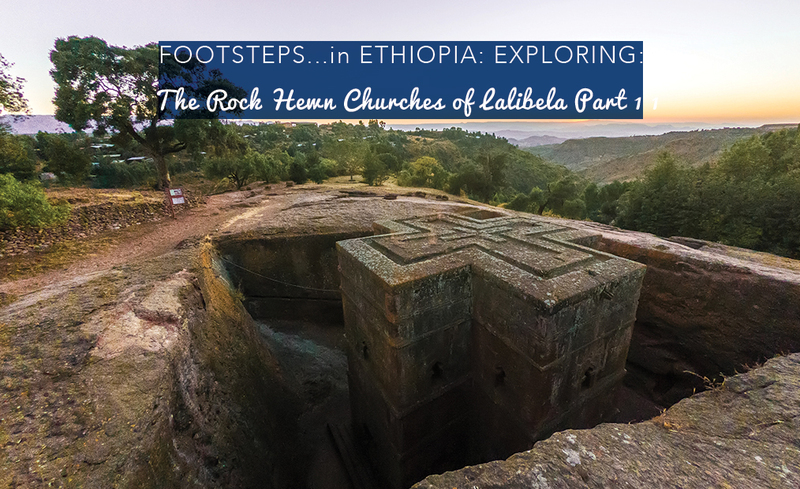 We reluctantly leave Bet Debre Sina Mikael to have a peek into the last church in this cluster, which was opened in 1988 and rumoured to have been a storeroom because of its incredibly rough hewn interior. This church is one that isn’t frequented by either worshippers or tourists however being on the way out of the cluster, is worth a quick look anyway.The priest here is excited to have some company and lets me hold his cross for a picture, which I am happy to do! Leaving the north western cluster through a cross shaped doorway, I am even more excited to be exploring the next batch given the fascinating experiences we have had so far in these churches. Abrham tells me that we have been lucky today, to have partaken in a chanting ceremony and I cannot help but agree. It is a rare opportunity indeed to have been a part of what is real life, something that isn’t a show put on for the tourists but a true way of living and I am incredibly grateful to have had the fortune to have witnessed this in my lifetime. 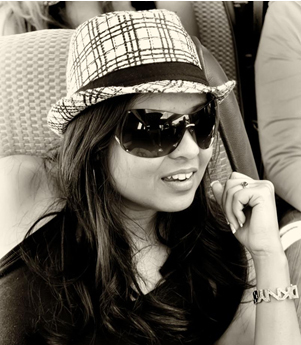 Thank you Nanditha! My goal then, has been achieved! So glad you enjoyed it! This is such a lovely blog. Amazing photography. Thank you so much Archana! Glad you enjoyed it! Awww Shilpa! This kind comment has just made my day and given me the drive to pen and publish more posts! So so glad you enjoyed reading this! Thank you so much for stopping by! Such a detailed post. 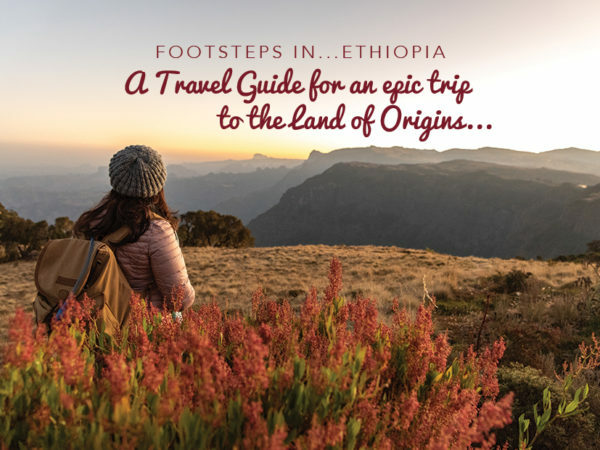 Just adding Ethiopia in my bucket list. Thank you so much Puspanjalee! 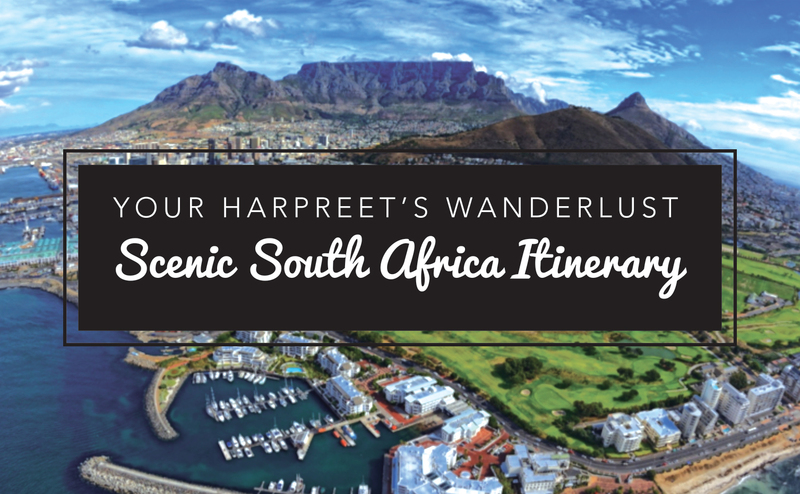 Have a look at the Travel Guide I have penned – it has a suggested 11 day itinerary for exploring the northern historical route, you may enjoy that too.